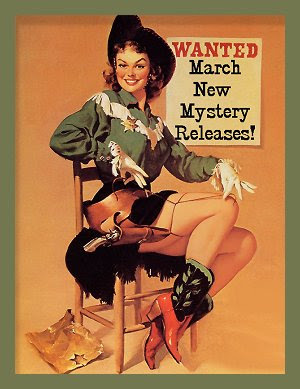 March 2016 New Mystery Releases! Amazing how quickly the months fly past, isn't it? I'm finding myself up to my eyeballs in all sorts of things: housecleaning, Left Coast Crime, doctor appointments, house guests-- and that's just a few of the people and things on my lists. But you all know that, no matter how busy I get, I'm always going to find the time to keep an eye peeled for new crime fiction, and that's what I'm going to share with you now. 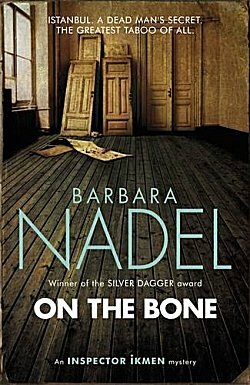 The following are my picks of the new crime fiction titles being released in March. They are grouped by release date, and you'll find all the information you'll need to find them at your favorite book procurement sites. Book synopses are courtesy of Amazon. Let's see what's in store for us in March! Synopsis: "Summer in London-the sun is finally shining, the flowers are in bloom, and life is humming merrily along for book editor Samantha Clair, off to lunch with her old friend, art-dealer Aidan Merriam. Humming merrily until she learns that his partner has just been found dead in their gallery, slumped over his desk with a gun in his hand. Could anything be worse? Oh yes, the police investigation is being led by Inspector Jake Field, who just happens to be Sam's new boyfriend. And Aidan, who just happens to be Sam's ex-boyfriend, wants Sam's help. Finding herself drawn into another investigation, Sam does the only sensible thing and calls her mother. Before long, Sam finds her loyalties stretched to the limit as she herself is threatened. 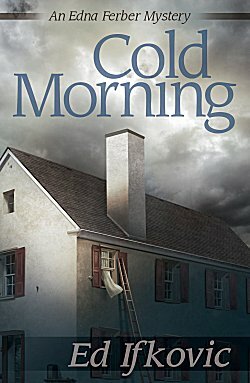 Armed with nothing more than her trusty weapons of satire, cynicism and a stock of irrelevant information culled from novels, Sam races to find a killer who is determined to find her first in the newest fast-paced, uproarious novel in the critically acclaimed series from New York Times bestselling author Judith Flanders." 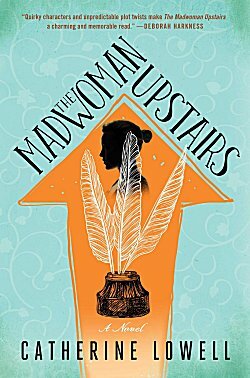 Synopsis: "In Catherine Lowell’s smart and original debut novel, the only remaining descendant of the Brontë family embarks on a modern-day literary scavenger hunt to find the family’s long-rumored secret estate, using only the clues her eccentric father left behind, and the Brontës’ own novels. Yet everything changes when Samantha enrolls at Oxford University and long lost objects from the past begin rematerializing in her life. Her father’s distinctive copy of Jane Eyre, which should have perished in the fire that claimed his life, mysteriously appears on Samantha’s bed. Annotated in her father’s handwriting, the book is the first of many clues in an elaborate scavenger hunt derived from the world’s greatest literature. With the help of a handsome but inscrutable professor, Samantha must plunge into a vast literary mystery and an untold family legacy, one that can only be solved by decoding the clues hidden within the Brontës’ own writing." Synopsis: " In an attempt to save their marriage, Nina Borg and her husband traveled to a beach resort in the Philippines for a dream vacation. Only now, six months later, does Nina begin to understand the devastating repercussions of that trip—repercussions that have followed her home across the globe to Denmark. On an icy winter day, she is attacked outside the grocery store. The last thing she hears before losing consciousness is her assailant asking her forgiveness. Only later does she understand that this isn’t for what he’s just done, but for what he plans to do to. It’s a long way from Viborg to Manila, and yet Nina and her pursuer face the same dilemma: How far will they go to save themselves?" 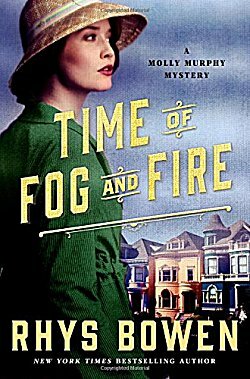 Synopsis: "Molly Murphy Sullivan's husband Daniel, a police captain in turn-of-the-century New York City, is in a precarious position. The new police commissioner wants him off the force altogether. So when Daniel’s offered an assignment from John Wilkie, head of the secret service, he’s eager to accept. Molly can’t draw any details of the assignment out of him, even where he’ll be working. But when she spots him in San Francisco during a movie news segment, she starts to wonder if he’s in even more danger than she had first believed. And then she receives a strange and cryptic letter from him, leading her to conclude that he wants her to join him in San Francisco. Molly knows that if Daniel’s turning to her rather than John Wilkie or his contacts in the police force, something must have gone terribly wrong. What can she do for him that the police can’t? Especially when she doesn’t even know what his assignment is? Embarking on a cross-country journey with her young son, Molly can’t fathom what’s in store for her, but she knows it might be dangerous―in fact, it might put all of their lives at risk." Synopsis: "January 3, 1935. The trial opens in Flemington, New Jersey, for the man accused of “the crime of the century.” And Edna Ferber is there to cover it. 1932. On a windy March 1 night, Charles Lindbergh, America’s hero, discovers that his twenty-month-old son has been snatched from his crib. A ransom is arranged. Yet two months later, Little Lindy is found in a ditch near his Hopewell home, several weeks dead from a blow to the head. It takes over two years to arrest a suspect. Bruno Richard Hauptmann is caught passing one of the marked ransom bills. Press from across the world swarm to his trial. Bestselling novelist Edna Ferber and raconteur Aleck Woollcott, both hired by the New York Times to cover it, are part of the media frenzy, bickering like the literary lions they are. Did this immigrant carpenter really commit the crime? Alone? Observant sometime-sleuth Edna is not so sure. Local citizens, whipped into a frenzy by the yellow press, march through the streets demanding Hauptmann burn. Walter Winchell takes the lynch mob sentiment national. A British waitress at Edna’s hotel, who’d hinted she had priceless information that could blow the trial wide open, is murdered. Edna begins to suspect a miscarriage of justice is underway, fueled in part by anti-German sentiment, in part by class privilege. Edna doesn’t find Colonel Lindbergh the golden boy of legend. But there he is, entering the courthouse flanked by a quartet of New Jersey troopers. There’s Hauptmann, handsome and calm despite his date with the electric chair―unless Edna can alter the course of justice." Synopsis: "A young man drops dead in a fashionable Istanbul street. The autopsy proves it was a natural death - a heart attack - but what is in Emre Alphan's stomach is not. His last meal was of human flesh. Ikmen must trace Alphan's final movements, and discover who the victim was. Food itself has become contentious, with traces of pork discovered in tinned beans, accusations flying about whether this was a deliberately provocative act in a Muslim country, and suspicions about what is really being served up. Ikmen soon finds himself in the world of the now beleaguered secular elite, people who feel their Western way of life is under threat of extinction, some of whom are joining a very dark new cult..."
Synopsis: "Wedding planner Kelsey McKenna is just a few hours away from wrapping up her latest job: a destination wedding in the charming, colonial Mexican town of San Miguel de Allende. The reception is all set up, the tequila donkey is waiting outside, and the bride and groom are standing on the altar, pledging their eternal love. But just as the priest is about to pronounce them husband and wife, one of the bridesmaids upstages the couple by collapsing into a floral arrangement, a definite wedding "don't." Kelsey soon discovers that the girl hasn't just fainted--she's dead. Losing a bridesmaid is bad enough, but when the bride's sister is arrested for murder, the demanding mother of the bride insists that Kelsey fix the matter at once. And although Kelsey is pretty sure investigating a murder isn't in her contract, crossing the well-connected Mrs. Abernathy could be a career-killer. 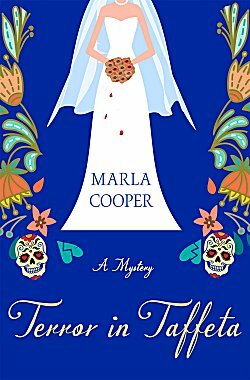 Before she can leave Mexico and get back to planning weddings, Kelsey must deal with stubborn detectives, a rekindled romance, and late-night death threats in this smart, funny cozy mystery debut." Synopsis: "Wanted: A bold adventurer who wants to travel the world from a comfortable and safe spot behind a desk that has seen the likes of kings and queens, paupers and princes. A humble book and rare manuscript shop seeks a keenly intelligent investigator to assist us in our search for things thought lost, and in our quest to return lost items to their rightful owners. But before she can settle into her new life, a precious artifact goes missing, and Edwin’s sister is brutally murdered. 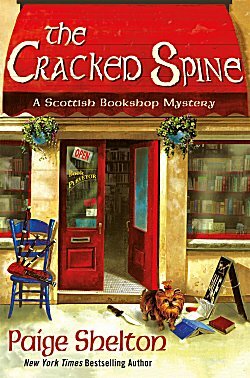 Never did Delaney think that searching for things lost could mean a killer, but if she’s to keep her job, and protect her new friends, she’ll need to learn the truth behind this Scottish tragedy." Synopsis: "London, 1841. Returned from their adventures in India, Jeremiah Blake and William Avery have both had their difficulties adapting to life in Victorian England. Moreover, time and distance have weakened the close bond between them, forged in the jungles of India. Then a shocking series of murders in the world of London’s gutter press forces them back together. But what if the murderer is being protected by some of the highest powers in the land?" 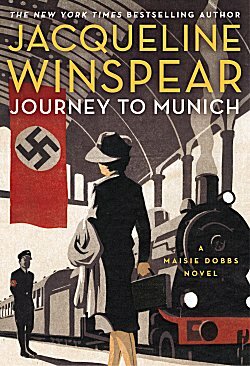 Synopsis: "Working with the British Secret Service on an undercover mission, Maisie Dobbs is sent to Hitler’s Germany in this thrilling tale of danger and intrigue—the twelfth novel in Jacqueline Winspear’s New York Times bestselling “series that seems to get better with each entry” (Wall Street Journal). Traveling into the heart of Nazi Germany, Maisie encounters unexpected dangers—and finds herself questioning whether it’s time to return to the work she loved. But the Secret Service may have other ideas. . . ."
Synopsis: "Intrepid writer and amateur sleuth Josephine Tey returns in this sixth installment of Nicola Upson’s popular series—perfect for fans of Agatha Christie’s Hercule Poirot and Jaqueline Winspear’s Maisie Dobbs—that unfolds in 1930s London as England prepares to crown a new king. Josephine’s dear friend, Detective Chief Inspector Archie Penrose, has the case wrapped up before long. 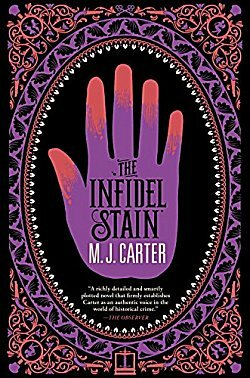 But when a second, seemingly related murder throws Penrose for a loop, it falls to Josephine to unravel a web of betrayal, jealousy, and long-held secrets… caught all the while in a love triangle of her own making. 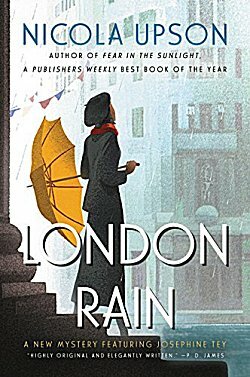 Charming and provocative, thick with the atmosphere of prewar England, London Rain is a captivating portrait of a city on the edge—and an unforgettable woman always one step ahead of her time." Hood River in the Columbia River Gorge is the windsurfing capital of the world, and Meg is stoked to cover the King of the Hook event for Portland's Northwest Extreme magazine. Before the competition gets under way, Meg has a chance to try some windsurfing on her own. But when the current sweeps her downriver, she spots a body snagged on the rocks. The dead man is Justin Cruise, aka Cruise Control, a celebrity windsurfer and not exactly a nice guy. It's soon clear his death was no accident, and Cruise had no shortage of enemies. 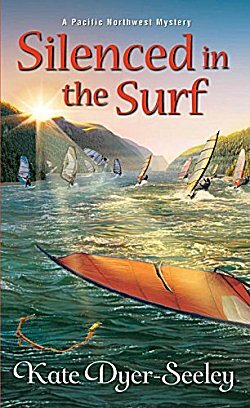 As Meg dives right in to discover who wiped out the windsurfer, she'll need to keep her balance--or she too may get blown away. " As usual, there's a little something for everyone this month. 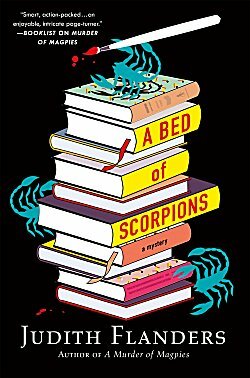 You've seen all the titles marked "Upcoming review on Kittling: Books," and I can tell you that so far (I'm still reading some of them), one has made it on my Best Reads of 2016 list. Which titles made it on your wish lists? Inquiring minds would love to know! Oh, a new Kaaberbøl and Friis! And a new Winspear, too! Looks like a good month 'a comin' in, Cathy. A new Kaaberbol and Friis! Good. And looking at these covers, some of them are great artwork, yet convey a sinister story lying between the pages. Yes, I agree about the sinister element on some of the covers. They really pique my interest. 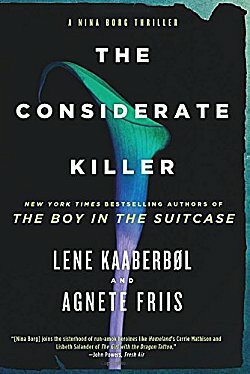 I was fortunate enough to meet Kaaberbøl and Friis at Left Coast Crime. In fact they were on the last panel I attended today. Fabulous time!